Allegany County's premier in-patient rehabilitation center. Wellsville Manor Care Center is a 120 Bed Short Term Sub-Acute Rehabilitation and Long Term Care Facility nestled in the hills of Allegany County. 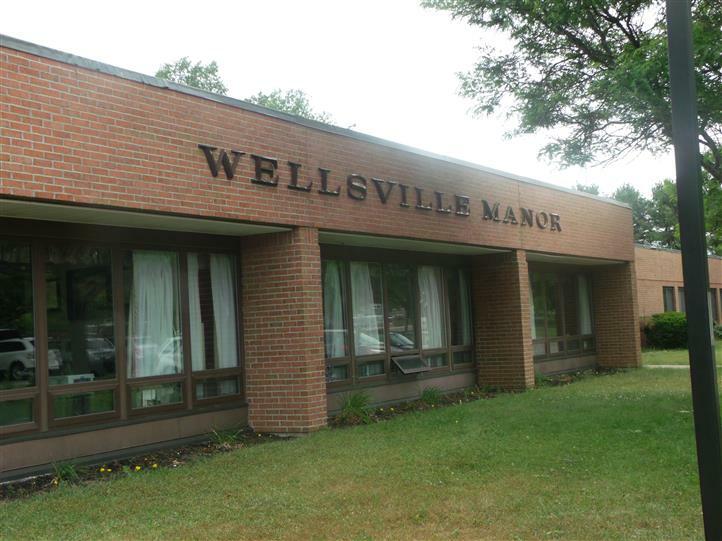 Wellsville Manor has been serving the community for over 28 years. Choosing a Rehabilitation Facility or Nursing Home can be a stressful and confusing time. We want to help make this time as easy as possible for residents and their families. We encourage you to stop in and take a tour and talk with our friendly and caring staff. Our Admissions Coordinator will be happy to show you around and answer any questions you might have and our Social Workers are available to discuss the transition and information you'll need every step of the way during the placement process. Whether you are in need of post-acute short term rehabilitation or long term compassionate care, we are here to offer you the best of both. Wellsville Manor offers rehab 7 days a week, up to 3 hours per day, and is proud to be one of the highest rated local facilities by the Centers for Medicare and Medicaid Services (CMS). When choosing a rehabilitation center, you have the right to choose a facility that best meets your needs. Wellsville Manor's rehabilitation department will develop a individualized plan of care to help you receive the most rehab to return home quickly and safely. What are people saying about Wellsville Manor? 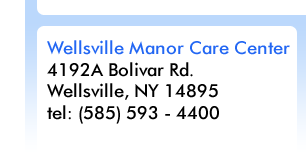 Did you know that Wellsville Manor is the Highest Ranked Nursing Facility in the Area?